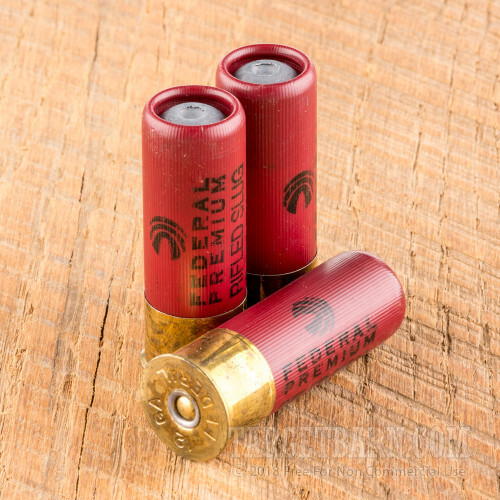 With headquarters located in Annoka, Minnesota, Federal Premium Ammunition is one of the world's largest manufacturers of sporting loads. Dedicated to improving the shooting experiences of every customer while supporting numerous conservation organizations, Federal is truly committed to protecting and promoting America's outdoor sporting heritage. 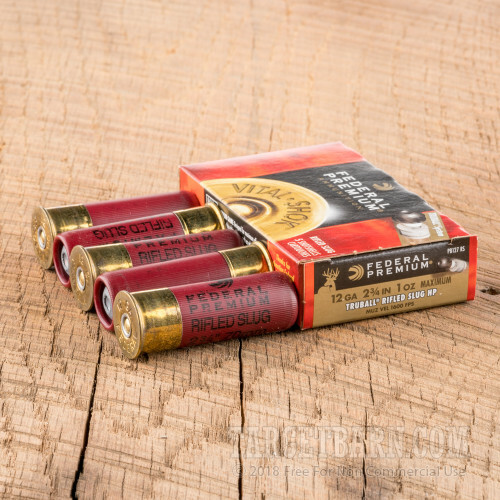 Designed for maximum deer-dropping performance, each of these 2 ¾ inch 12 gauge shotshells is loaded with Federal's 1-ounce patented TruBall hollow point rifled slug. Constructed with a plastic ball between the wad and slug, these loads are designed to increase range and accuracy to help you bag the big one. 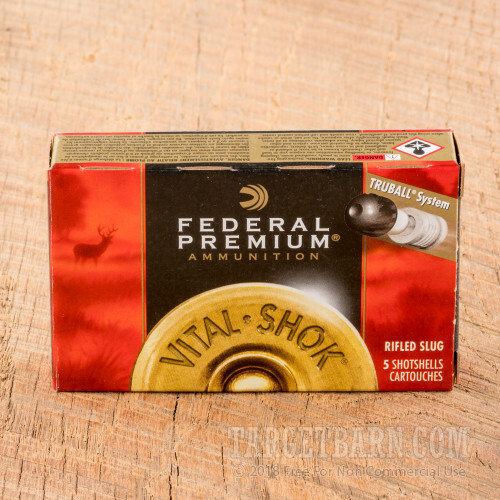 With an increased downrange energy and high-level accuracy that produces tight groups at 50 yards, you'll be hard-pressed to find a better performing slug than Federal Premium Vital-Shok. You get 250 rounds of Federal Premium Vital-Shok TruBall Rifled Slugs. 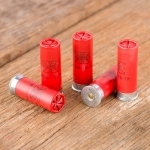 Designed specifically for use in smooth bore 12 gauge shotguns, these shotshells can also be used in shotguns with rifled choke tube barrels or fully rifled barrels. Each round consistently produces a muzzle energy of 1600 feet per second and a powerful, game-stopping energy of 2487 foot pounds.